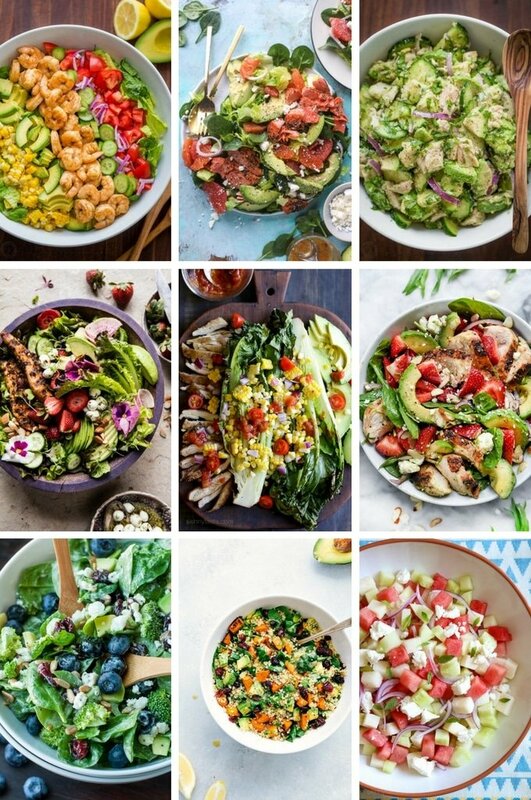 These healthy salad recipes are perfect for anyone looking to add a little more nutrition to their diet! 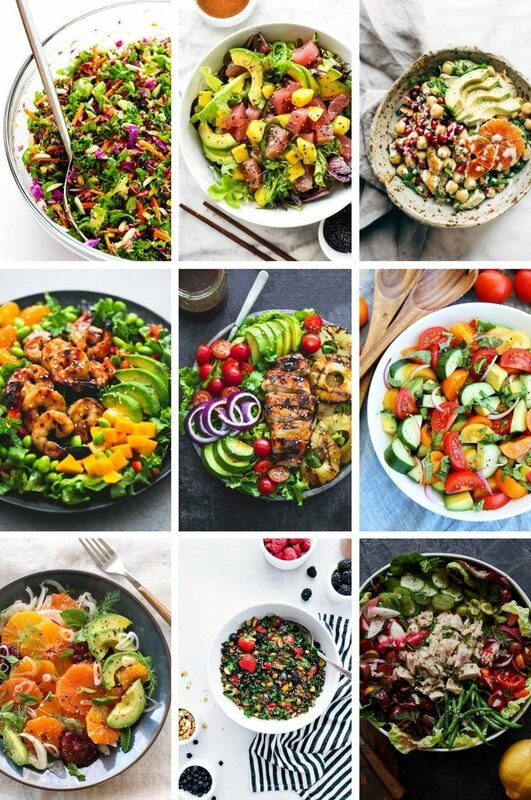 There’s a wide variety of green salads, chopped salads, detox salads, colorful fruit salads, chicken salads, seafood salads and plenty more healthy offerings! Learning toward a better you? Healthy salad recipes are not hard to find, in fact, they are EVERYWHERE. Once I had this BBQ Chicken Salad I was hooked. I wanted more creations and styles. I sure got it! These healthy salad recipes look so mouthwatering it is hard to comprehend that they are SO good for you. I am a fan of a good salad. Some of these recipes take the term ‘salad’ to a whole new level. I could literally eat them for days. You can too! 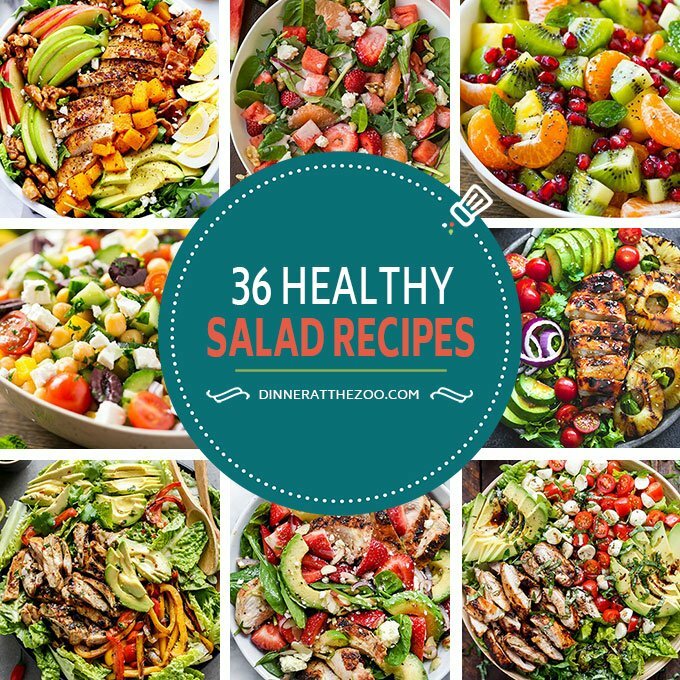 Here are my top 36 Healthy Salad Recipes to start you off in the right direction. Of course, there are thousands of varieties on my Pinterest Board you can check out as well. You will enjoy a wide variety of salad combinations. You could have a different one each day to try them all out. Come back and let me know which was your favorite and if you made any alterations or found a new creation you think should be added to the list! What type of salad is healthiest? The healthiest salads start with dark leafy greens and incorporate vibrant colored vegetables and/or fruit. Healthy salads may also contain grains like quinoa or nuts. A healthy salad has a dressing that’s not loaded with large amounts of oil, mayonnaise or other type of fat. Is it healthy to eat a salad every day? Eating a salad every day is a great way to get in your recommended amount of fruits and vegetables. Be sure to chose a variety of fresh produce and limit dressing that are high in fat and calories. What salad dressing is best for you? The best salad dressing are vinaigrette style dressings that are made with a heart healthy oil like olive oil. Steer clear of dressing that contain mayonnaise, cheese and other high calorie ingredients. This chopped Thai salad is a variety of colorful fresh veggies, all topped off with a homemade peanut dressing. This is a vegetarian salad, but it’s still got plenty of protein thanks to the edamame soy beans that are included. If you’re looking for even more protein, feel free to add some grilled chicken or shrimp. I love to eat this Thai chopped salad for a light lunch, or as a side dish at dinner time. It’s most definitely a great way to get in some veggies! 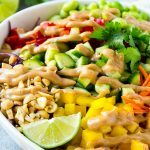 This chopped Thai salad is a variety of colorful fresh veggies, all topped off with a homemade peanut dressing. Place the cabbage in a large bowl. Arrange the cucumbers, edamame, carrots, bell peppers and peanuts on top. Sprinkle with cilantro. For the dressing: Whisk together the peanut butter, soy sauce, honey, lime juice, sesame oil, chili garlic sauce and warm water until smooth. Drizzle the peanut dressing over the vegetables, then serve immediately. Legit speechless, that Mediterranean Quinoa Salad recipe looks unreal! Definitely I will make it on the weekend for my family. I can eat any of them right now 🙂 I am going to try to make them as they all look so refreshing and healthy. These all sound super yummy. I was looking for something different to take to a potluck luncheon at my office. Great inspiration now that I came upon your site. I already make my own dressings; super stoked to have new ideas to pair with them. 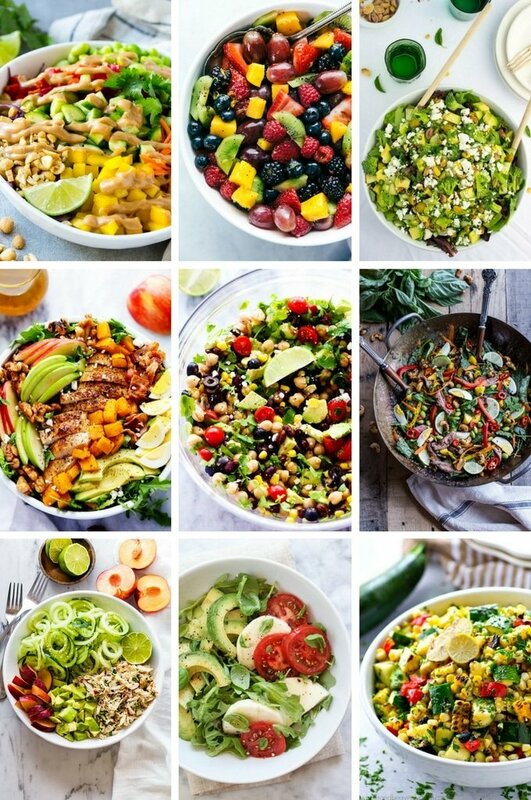 I am a huge fan of salads, especially ones with avocado but always find myself eating the same ones over and over, your post just changed my life!!! They all look so delicious. I am definitely going to try a few. Thank you for sharing. These days I’m trying to eat healthy food and what a perfect timing for this post! Have bookmarked your post and going to try all your salad recipes! I’d start with Sweet Potato Quinoa Salad first! It’s funny, I would never have imagined even 10 years ago that there were so many food combinations that would work well in salads. Lettuce, tomatoes, and cucumbers were the basic and more typical ingredients. I remember it was a treat to get a chef’s salad at a restaurant, since it had sliced eggs, chunks of ham, and shredded cheese in it. I don’t think I could even choose a favorite from your list. It would be fun to make a different salad each day and go through the whole list. Thanks for sharing. I was looking for inspiration coz’ I’m gonna start eating healthy again tomorrow. I need some ideas to get me through for at least the first 30 days and this is already more than 30 salads I can try. Looking forward to trying them out with my hubby. A million thank-yous for all of the wonderful salad ideas! How did you know I’ve been on a bender with them since the holidays. On my short list of those to try? The Avocado Tuna Salad and Harvest Cobb Salad. Yum! OMG! This post is right on time. I love eating salads, but I also have to keep it varied so my family doesn’t get sick of them. 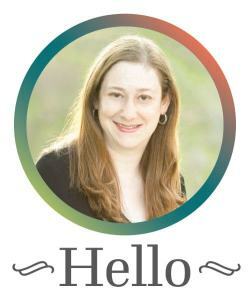 I’m bookmarking this post because it is an awesome reference. Thanks so much for sharing! 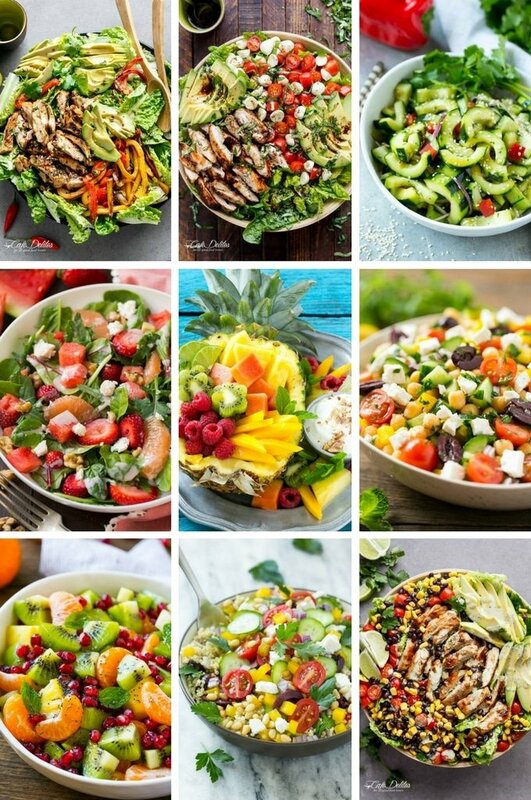 This is an amazing selection of salads! I’m really fussy when it comes to salad, no rabbit food please, lots of fun stuff is required! I love Thai food and satay so I’m sure I will love your Thai salad. I’m also going to try the one with the sweetcorn, chicken and avo… just my kind of thing! Avocado and corn salads are my favorite. I love tomatoes and leafy green salads but I also want to explore the unknown and try things id shy away from tasting. I think feta is absolutely delicious and if I could I’d put it on all my salads. Those salad recipes are really lovely and it’s good to have as much as you can especially when Spring rolls over! All those fresh produce are perfect for these! I’ve definitely been trying my best to eat healthier this year just like last year.